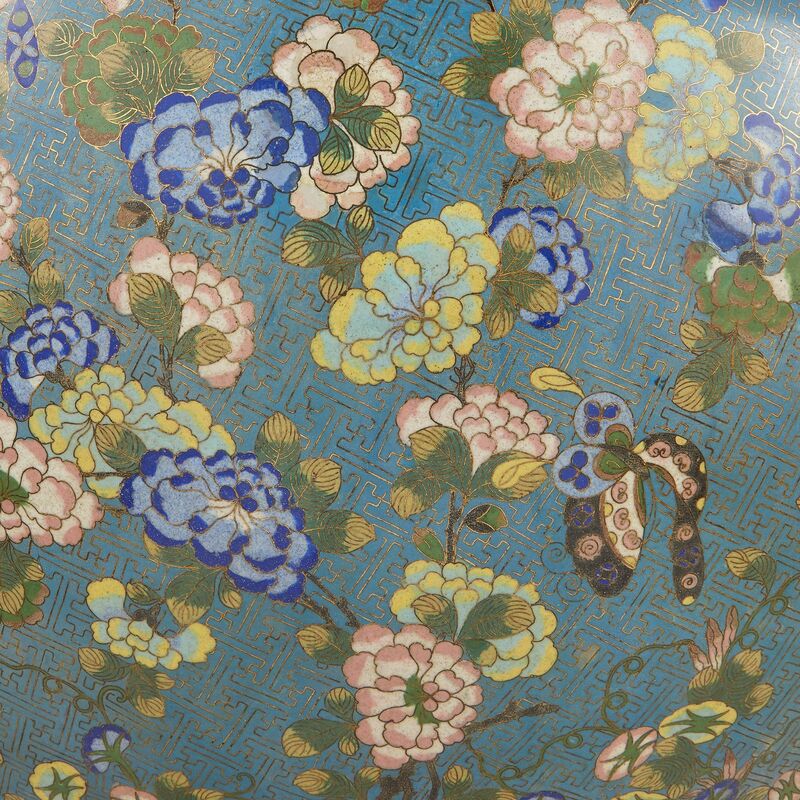 This awesome jardinière is distinctly influenced from the Far East; interest in the Orient strongly impacted European design in the 19th Century. 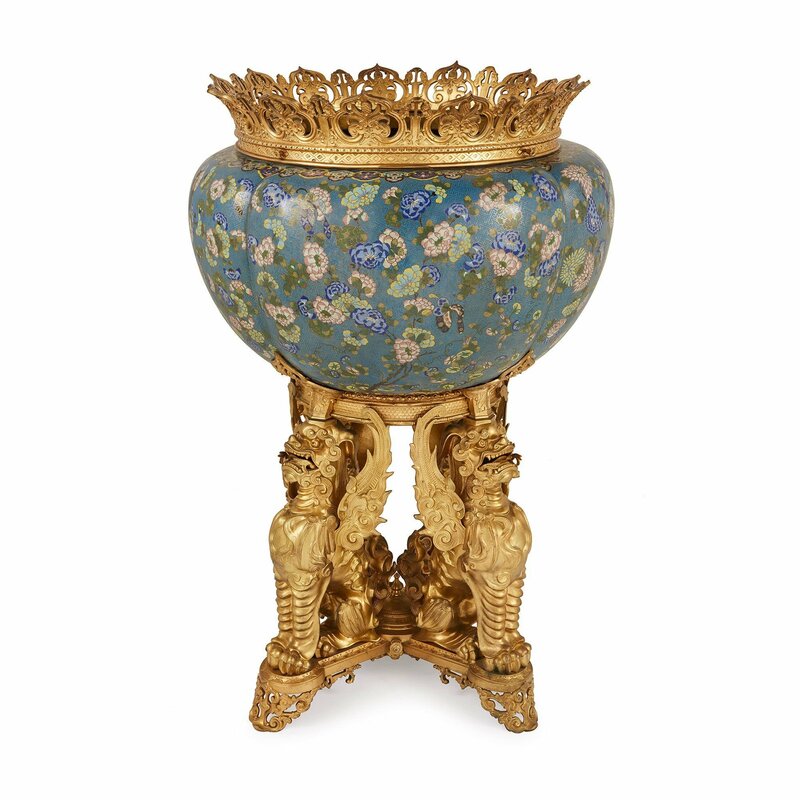 The present jardinière is very much in the manner of objects in enamel produced by Ferdinand Barbedienne in Paris in the last quarter of the 19th century, which proved universally popular. 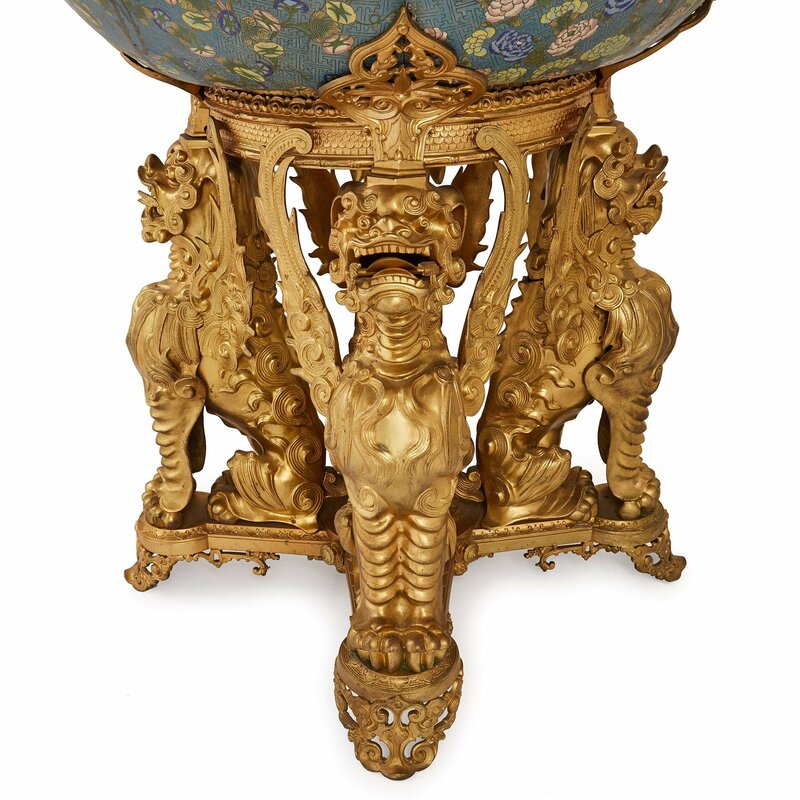 Many of these pieces were designed by Edouard Lievre (d. 1886) in the Orientalist style.